This weekend is pretty jam packed with fun events in DFW, Fredericksburg, Austin area, Houston area, and throughout Texas! Trying to figure out what to do this weekend? We’ve got ‘ya covered. The Fort Worth Food + Wine Festival is North Texas’ most celebrated cuisine and beverage festival, taking place over three days and nights in venues around our thriving culinary community. 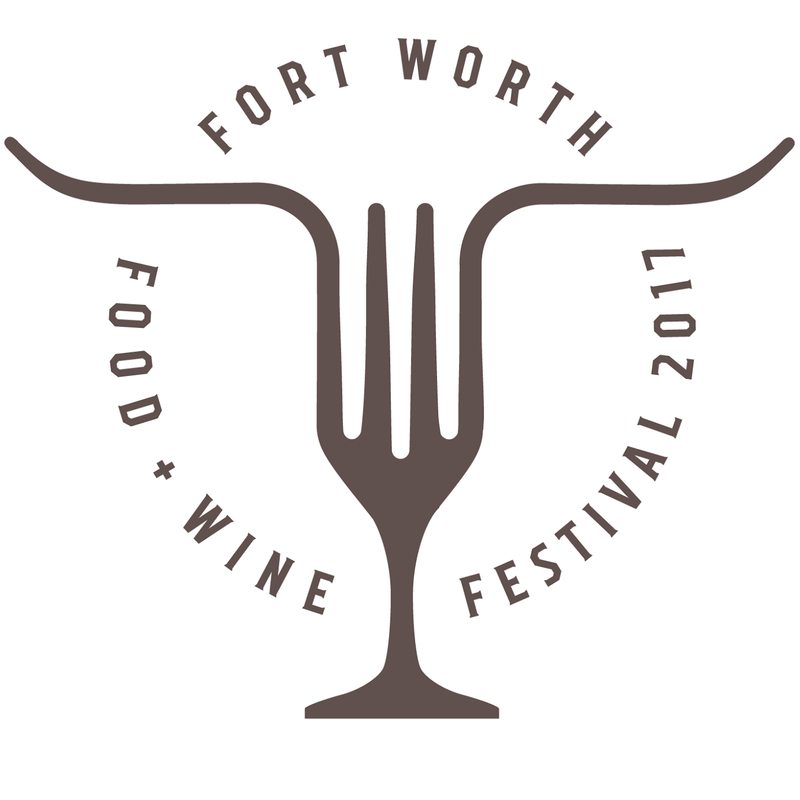 The Fort Worth Food + Wine Festival is North Texas’ most celebrated cuisine and beverage festival, taking place over three days and nights in venues around our thriving culinary community. The festival’s growing roster of talented chefs and food artisans, as well as craft brewers and distinctive vintners, bring a range of tastes, styles and methods that reflect the diversity of the city itself. We also have several events leading up to the festival, including our Sipping Series and CenterStage. But it’s more than good food and good fun – it’s a good cause. That’s because proceeds from the festival go to the Fort Worth Food + Wine Foundation, a 501(c)(3) nonprofit organization that raises funds for local grant programs and culinary scholarships. To date, the FWFW Foundation has awarded about $70,000 in scholarships to deserving students from Fort Worth. With your continued support, we can keep this program going strong in 2017 and the years to come. Be sure to get your tickets right away as there are a limited number available and this event sells out every year! Winery pickup choices will be narrowed down upon delivery of the Tasting Passport books on Wednesday, March 22 (all listed wineries will still participate in the event). After Wednesday, March 22 these will be the ONLY wineries available for pickup choice. Your pickup winery CAN NOT be changed after 3/22/17. Please note you can not pickup your Tasting Passport until the first day of the Event, March 31st. 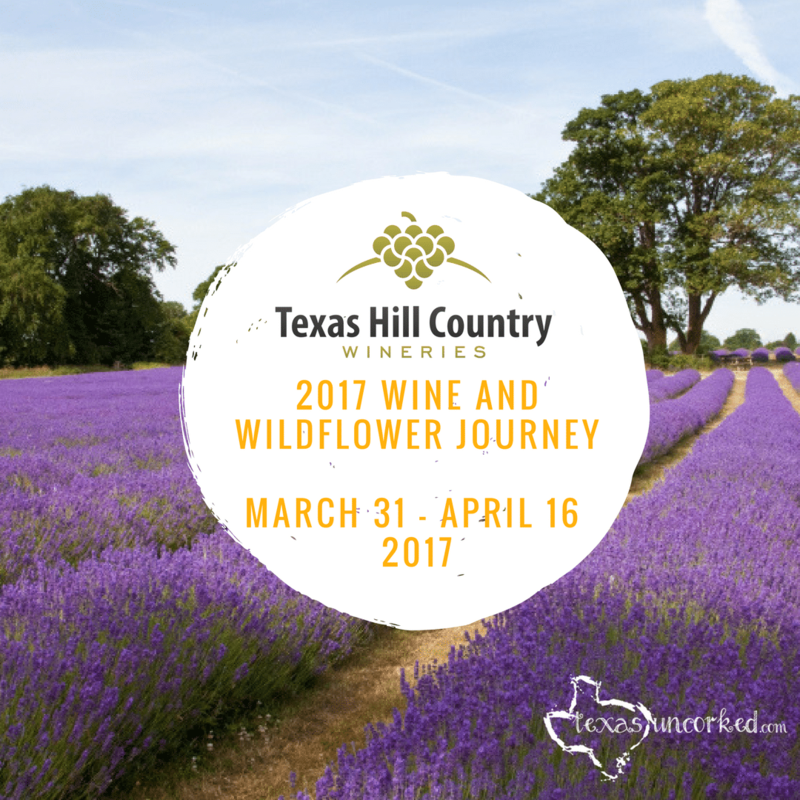 Enjoy the Sights and Tastes of the Hill Country this Spring…Join us for the Wine & Wildflower Journey! The weathers warm, the wildflowers are in bloom and its time for the Wine & Wildflower Journey! We invite you to join us for a full 17 days in the picturesque Texas Hill Country, sipping and sampling award winning wines at 46 unique Hill Country Wineries. Be sure to get your tickets right away, as there are a limited number avaliable and this event sells out every year. The Wine & Wildflower Journey is all about enjoying award winning WINE in the picturesque Texas Hill Country! Your $70 couples ticket or $45 individual ticket includes ONE Tasting Passport booklet per ticket, a full complimentary tasting at each winery (as determined by winery) with a limit of 4 wineries per day and a 15% discount on 3 bottle purchases. The average tasting fee at participating wineries is $15/ per person…adding up to $60/ per person if visiting 4 wineries a day- and that’s just for ONE day! You have 17 days to visit all 46 wineries. Your Wine & Wildflower Journey ticket is already saving you money, not including the discounts on wine purchases! Each ticket will include ONE Tasting Passport to be picked up at your first winery (selected at time of ticket purchase). Each winery you visit will stamp your booklet on the day you visit the winery and taste. Each day you can taste and get stamped at 4 wineries total. Couples tickets will receive ONE booklet but both people will recieve a tasting at each winery visited. The limit to 4 winery tastings per day with your ticket is a way for THCW to promote responsible drinking during the events. We do hope you can take your time and enjoy each winery more this way, instead of rushing through tastings and getting to the next stop. This allows for a more intimate experience at each winery, enjoying the wines and the people. We invite you to come and experience all the sights and tastes of the Hill Country this Spring! Please be aware of winery business hours when choosing your pickup winery and planning your Event visits. Not all THCW member wineries are participating in this event, only those listed above. All wineries require reservations for groups of 8 or more guests. Visit the WINERIES page of our website for details on each winery including hours. • Are there a limited number of tickets? o Yes and they typically sell out by the start of the event. We do not hold back any tickets. • Do I have to start at the winery I chose? o Yes, you do have to go there first and get your book. You do not have to taste there first but you must get your book first. • Can I change my pickup winery? o No, wineries receive the exact amount of Tasting Passports as designated by ticket purchaser choice and we can not change them once delivered. o Winery pickup choices will be narrowed down to a select group on March 22 if tickets are not sold out at that time due to the delivery of the books. • I can’t use my ticket, can I get a refund? o No, but tickets are transferable so you can give it away or sell it. • What days is my ticket good for? o All 17 days of the Event. • What wineries are included? o The 46 wineries listed above and on the back of your Tasting Passport. You can find information on the WINERIES page or the MAP page of our website. • I am giving this as a gift, can you change the name on the ticket? o The tickets are transferrable so it does not matter that your name is on it. When gifting though, you can choose “Ship To” and put the receivers name in the shipping info and this will put their name on the ticket. • No, tickets are not shipped. • I can’t print my ticket at time of purchase. o We also send you a confirmation email with a link to your ticket so you can print at a later date. • I didn’t print my ticket and now we are at the winery. o You can also show the winery your confirmation email or ticket from your smart phone. • Tickets are limited and will sell out. • Tickets are non-refundable and the THCW cannot be responsible for lost or stolen tickets. Tickets cannot be exchanged for other event tickets or another weekend event. You may give away or sell your tickets. • Ticket must be presented at your designated winery for pick up of Tasting Passport. • Tasting Passport must be presented at each winery to receive your complimentary tasting. • All prices are plus tax and subject to change. • Valid ID required to taste or purchase wines. • Winery events are separate from THCW event, additional fees may apply, please check with individual wineries for fees. • Pets are not allowed at some wineries, please check with each winery before bringing your pet. • Groups of 8 or more are recommended to contact the wineries you plan to visit before your trip. • Be safe. Please have a Designated Driver for the Wine Trail. The Spring Bluebonnet Wine and Cheese Trail is a wonderful way to enjoy the beauty of native Texas wildflowers and enjoy the blooming viticulture at some of Texas’ best wineries. 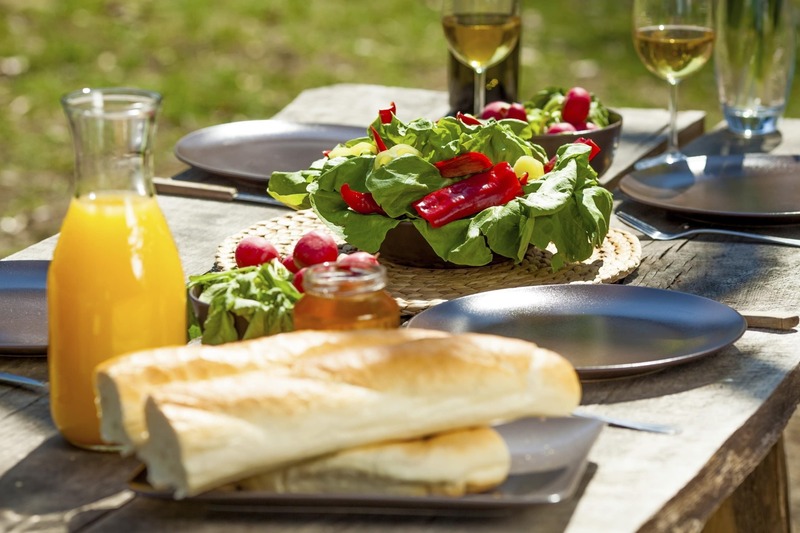 The Spring Bluebonnet Wine and Cheese Trail is a wonderful way to enjoy the beauty of native Texas wildflowers and enjoy the blooming viticulture at some of Texas’ best wineries. This is the namesake event for the Texas Bluebonnet Wine Trail. Ticket sales are limited so purchase yours today! Ticket sales will stop no later than 5:00 PM on Friday, April 7, 2017. 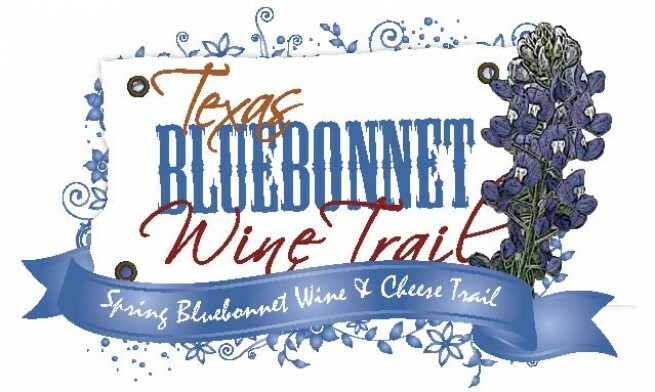 On March 25-26, April 1-2, and 8-9, 2017, the wineries along the Bluebonnet Wine Trail will offer ticketholders a select pairing of two wines and a specially-crafted cheese dish. When you arrive at your first winery, you will receive a 15 oz. commemorative wine glass to use and keep for all of your tastings. As an added bonus, each ticket holder will receive a packet of Texas Wildflower seeds at each winery while supplies last. In addition, visit all the member wineries and each ticket holder will receive a specially selected Texas Bluebonnet Wine Trail commemorative gift. Your trail tickets are good on March 25-26, April 1-2,and 8-9, 2017, regardless of when you purchase them. Blaze your own trail and pick where you want to start and where you want to end. You have six days over three weekends to visit all the member wineries. Groups of 8 or more must schedule visits at each winery one hour prior to arrival to allow wineries to plan for food and staffing. The official hours for this event are 11:00 a.m. to 6:00 p.m. on Saturday and Noon to 5:00 p.m. on Sunday for each trail weekend regardless of the wineries individual tasting room hours. Celebrate Wine and Art! The Annual Texas Wine and Art Festival will take place in Historic Old Town Spring featuring two days of Texas-based wineries showcasing local white, red & sweet wines and southern-style blends along with local art and artisans April 1 – 2 2017. Wine and art enthusiasts are invited to attend this Texas-style event featuring more than 10 local wineries showcasing top award-winning Texas wines and original art work and exhibitions from local artists, local food products from various vendors. The event is open to all ages and is a family-friendly event;Rain or Shine. General admission to the festival is FREE on Saturday and Sunday and provides access to viewing of the art vendors. $35 Wine tasting admission tickets include one commemorative wine glass and 7 tasting tickets. Additional tasting tickets are available at the event for $1.00 each. Gather your friends for a fun evening in Hutto! The Reds, Whites, & Brews event will include tastings from Texas wineries and Texas breweries, as well as amazing food from local restaurants and catering companies. Each attendee will receive a commemorative tasting glass and will have their choice of 10 wine and/or beer samples and 10 tastings at each restaurant. Live entertainment will help set the fun and festive mood. A complimentary photo booth will also be setup and photos are included! Don’t miss out on the fun! Tickets must be purchased in advance. Details for tickets available at check out. VIP entry at 5 p.m.
General Admission entry at 6 p.m. 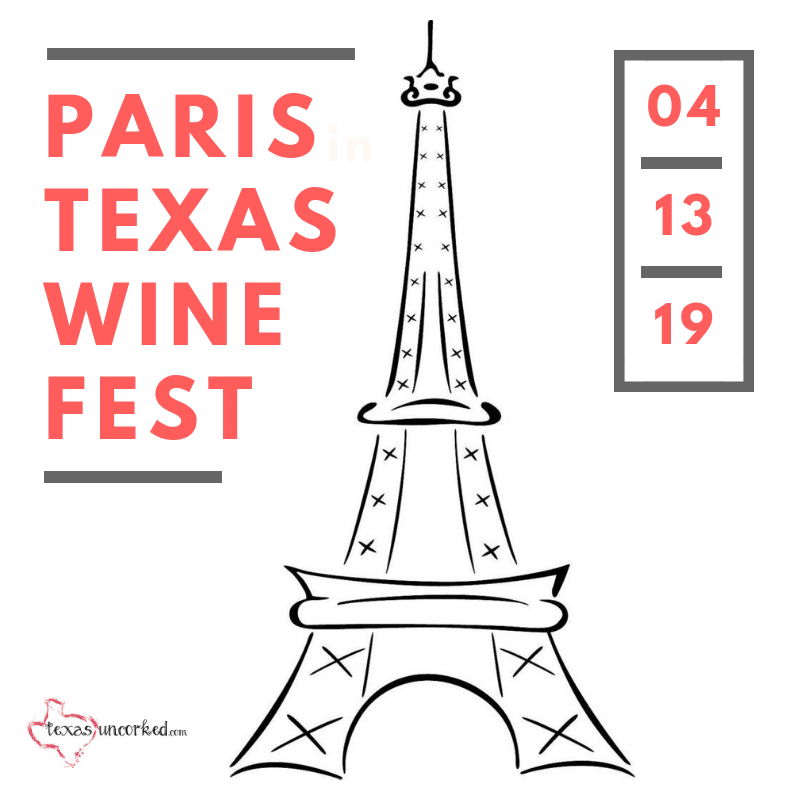 The Place:The Paris Texas Wine Fest will take place in Historic Downtown Paris, Texas and many of our fantastic downtown businesses and shops will be our hosts for this event. So while treating yourself to fine wine, feel free to see what all Downtown Paris has to offer. 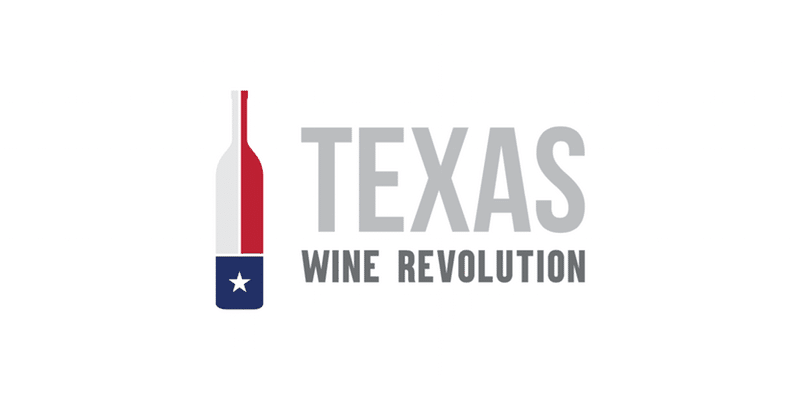 Texas Wine Revolution is a wine festival showcasing the beauty of Texas grown wines and specifically highlighting Texas grown Rosé wines. 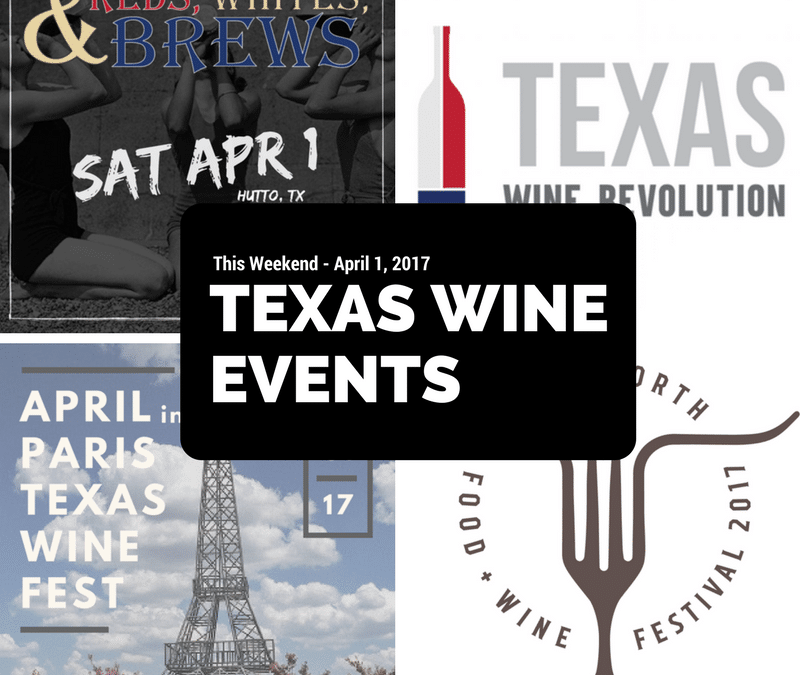 This is a unique event held in the Texas Hill Country that will provide exposure to Texas winemaking styles. Featuring 25+ Texas wineries and their 100% Texas grown Rosé, the afternoon will include tastings from all participating wineries, live music, and local food purveyors. Celebrate with us and meet local wineries, winemakers, and farmers for an awakening of Real Texas Wine. 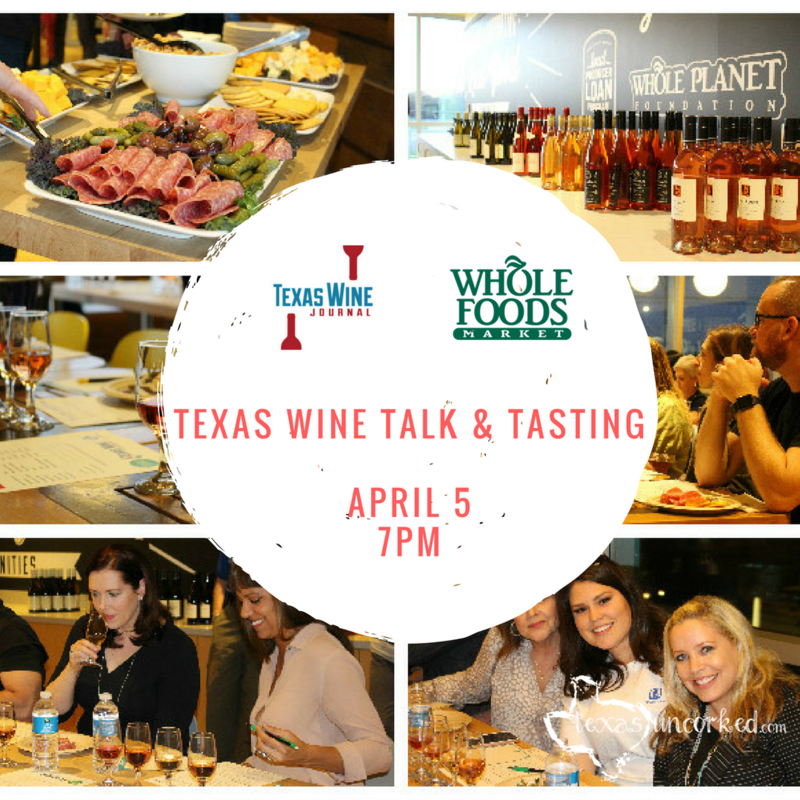 The Texas Wine Journal is proud to present Texas Wine Talk & Tasting, a Texas vs. The World® roadshow. Join us for an interactive and educational tasting and talk followed by a mixer with Texas wine producers, the Journal and other Lone Star wine lovers. If Texas and wine hold equal parts of your heart, you’ll love this intimate tasting event. Experience a blind tasting of four Texas Wine Journal top-rated wines up against four world wines along with a talk about the regions, grapes and people moving Texas wine forward. Don’t miss out! Tickets are $25 and ONLY 25 tickets are available per event. Get yours before they’re gone – 100% of the proceeds benefits the mission of the Texas Wine Journal. The Texas Wine and Food Consortium Inc. is a Texas nonprofit organization whose mission is to educate consumers, producers, distributors and retailers about Texas wines and wine and food culture. It’s signature program, the Texas Wine Journal, builds awareness for Texas wines through independent, credible and objective ratings, comprehensive reports, and consumer and trade events. Journal ratings are based on tastings by a panel of judges . All wines are tasted under single blind conditions and organized based on peer group (meaning that the same types of wines are tasted against each other and the producers’ names are not known). Price is also not a known factor when the panel meets. Savor Dallas, presented by Goody Goody, is the ultimate epicurean extravaganza, featuring the rich texture of signature, chef-driven flavors, endless wine, beer, and spirits tasting opportunities, live entertainment, and cultural experiences that define the vibrant Dallas landscape. The 2017 festival includes the following core events. Savor Dallas is a unique festival for Dallas, offering a comprehensive, highly curated array of the metroplex’s finest and most trendsetting restaurants and chefs, paired with premium sips from local, national and international wineries and winemakers, along with spirits purveyors and craft breweries. 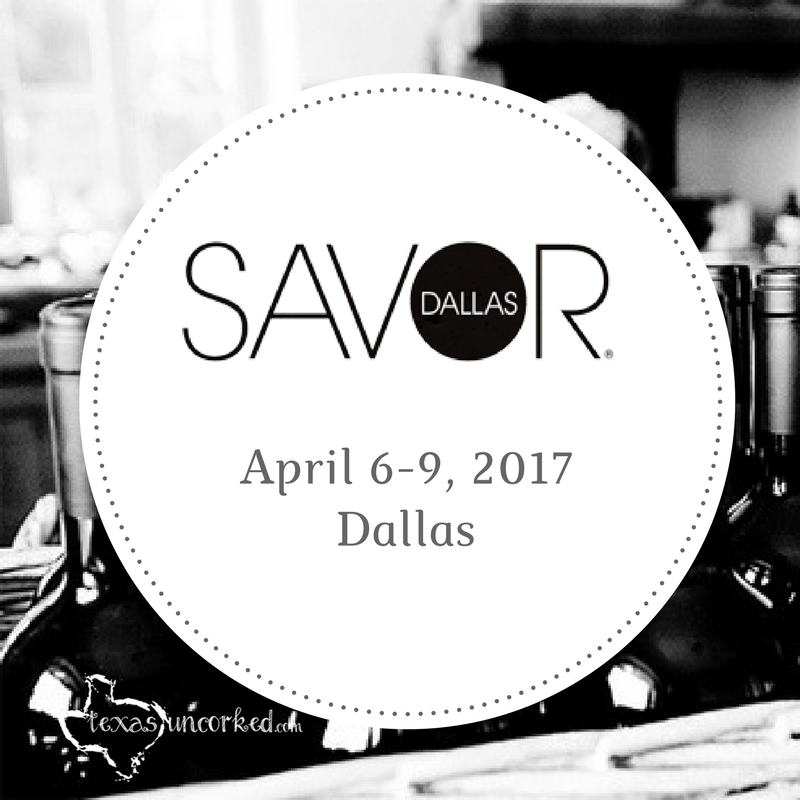 If this is your first time to consider attending, we hope you will join us for a few of Savor Dallas’s signature events. One of the best things about Savor Dallas is the variety of experiences—from wine tastings and educational seminars to dinners and sampling events—featuring a multitude of respected chefs, mixologists, and epicurean experts. 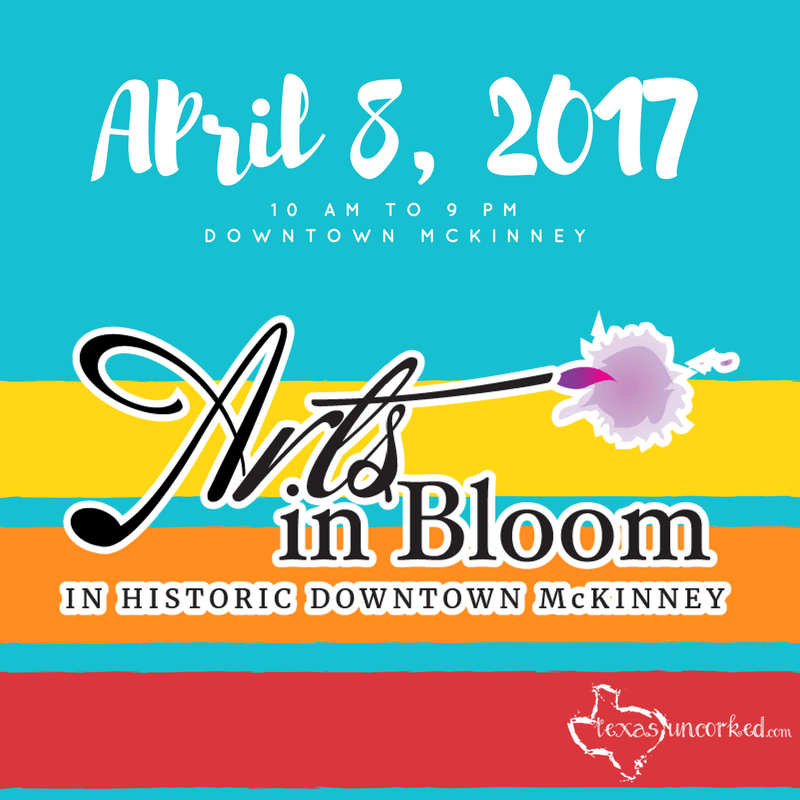 Produced and sponsored by McKinney Main Street, Arts In Bloom takes place in Historic Downtown McKinney and features one hundred and fifty juried artists set up on the tree-lined streets surrounding the McKinney Performing Arts Center. A nationally recognized participant in the Main Street Program, downtown McKinney offers a unique and beautiful setting of restored, turn-of-the-century buildings that now feature cafes, offices, bars, boutiques, galleries and restaurants. During Arts In Bloom the streets of downtown McKinney come alive with fascinating sights and sounds as fine artists, dancers, performance artists, musicians, Texas wineries, and food vendors take part in the three-day celebration – it’s the perfect opportunity to experience the magic of McKinney’s historic shopping district while also enjoying art, music, food and more! Produced and sponsored by McKinney Main Street, Arts In Bloom takes place in Historic Downtown McKinney and features one hundred and fifty juried artists set up on the tree-lined streets surrounding the McKinney Performing Arts Center. A nationally recognized participant in the Main Street Program, downtown McKinney offers a unique and beautiful setting of restored, turn-of-the-century buildings that now feature cafes, offices, bars, boutiques, galleries and restaurants. During Arts In Bloom the streets of downtown McKinney come alive with fascinating sights and sounds as fine artists, dancers, performance artists, musicians, Texas wineries, and food vendors take part in the three-day celebration – it’s the perfect opportunity to experience the magic of McKinney’s historic shopping district while also enjoying art, music, food and more! 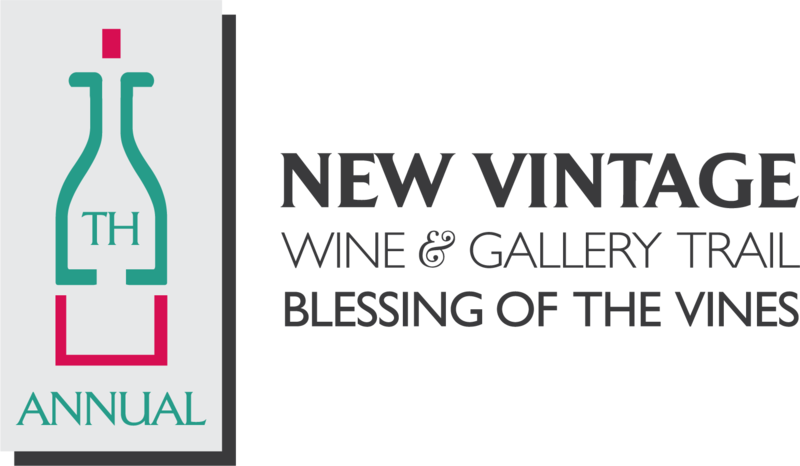 Toast the good life at Grapevine’s 25th Annual New Vintage Wine and Gallery Trail presented by Park Place Motorcars. To begin the New Vintage Wine and Gallery Trail, you must pick up a passport to be used at the winery tasting rooms. Passports will be available for pick up beginning at 9 a.m. on Saturday, April 8. Passports will not be mailed. Please present this confirmation along with a valid government issued photo ID to receive your passport. Participants must be age 21 or older. Special works of art can be viewed at Grapevine’s Palace Arts Center at 300 S. Main St. in Historic Downtown Grapevine; the Grand Gallery and Tower Gallery at the Grapevine Convention & Visitors Bureau Headquarters, 636 S. Main St., at art galleries and fine art working studios throughout the city. Admission for the New Vintage Wine and Gallery Trail includes a souvenir wine glass, three tastings of wine and one food item at each participating winery tasting room. There is complimentary parking throughout Historic Downtown Grapevine as well as at the winery tasting rooms and art galleries. No refunds will be issued. The event will take place rain or shine. Enjoy complimentary tastings from more than 20 wineries, craft breweries and local distilleries, (as well as food samples) and unplugged performances by Ryan Cabrera & Special Guests benefiting www.roofangels.org. 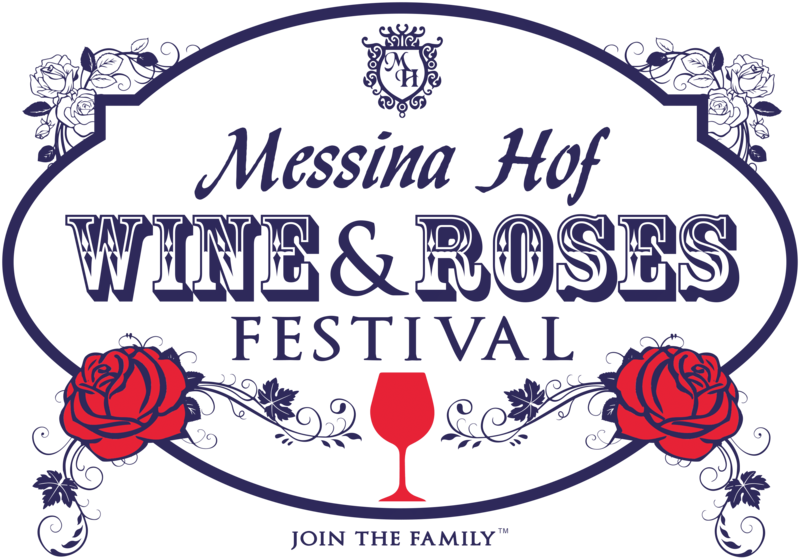 Located at the Messina Hof estate, this one-day festival will celebrate the 33rd anniversary of the budding of the vines and the blooming of the roses. 3,000 + guests will gather to enjoy wine tasting, local vendors and artisans, pairing classes, our famous grape stomp competition and more. Admission to the festival is free with the exception of a few events that require tickets which can be pre-purchased or included in one of our specialty packages. A portion of the proceeds from Wine & Roses benefits the Brazos Valley Arts Council. ::WINE TASTING | ALL DAY! Enjoy Messina Hof wines across the estate. 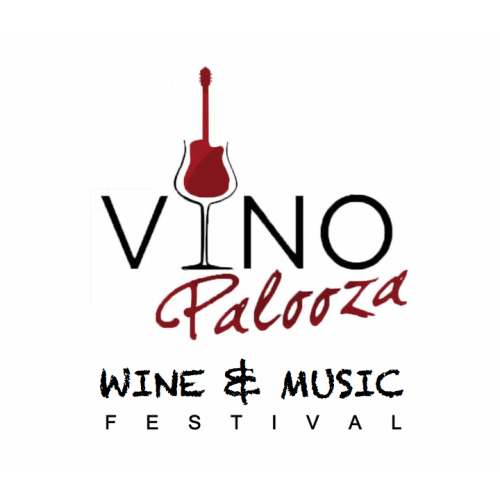 There will be red wine and white wine tents located outside along with Wine Slushies, wine on tap in the Wine Bar and premium wines located in our Tasting Room. Each tasting will require a tasting glass, see our ticket packages for more information. Don’t forget to get your passport stamped at each tent! Complete your passport and spin our prize wheel for a special souvenir to take home! ::TEXAS ARTIST WINE LABEL COMPETITION VOTING | ALL DAY! Vote for your favorite artist! The 27th Annual People’s Choice Wine Label Competition is the centerpiece for the Wine & Roses Festival. Each year, Texas artists compete for a chance to be featured on a Messina Hof wine bottle. Voting is only open throughout the festival, so don’t leave without placing a ballot for your favorite finalist. All proceeds benefit the Arts Council. This exciting Grape Stomp Championship will take place during Wine & Roses Festival. Each heat of teams will compete by filling bottles with the juice that they have stomped. At the end of each 2-minute heat, the winning team with the most juice in their bottle will continue to the next stomping bracket. Fun team names and jerseys encouraged! Enjoy a steak dinner in our Estate Wine Cellar. Wine not included. 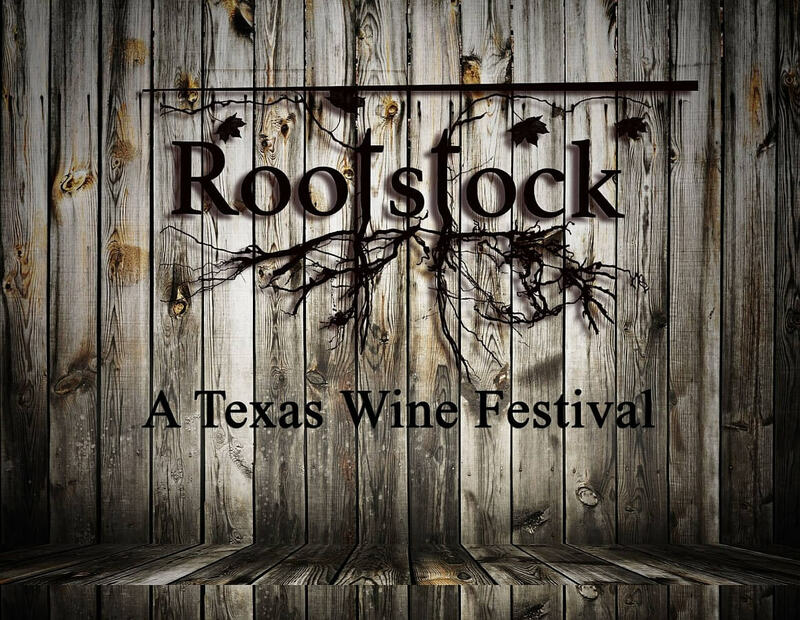 Rootstock is a festival celebrating the Texas wine industry. We aim to connect Texans to high-quality wines grown and produced in the Lone Star State. 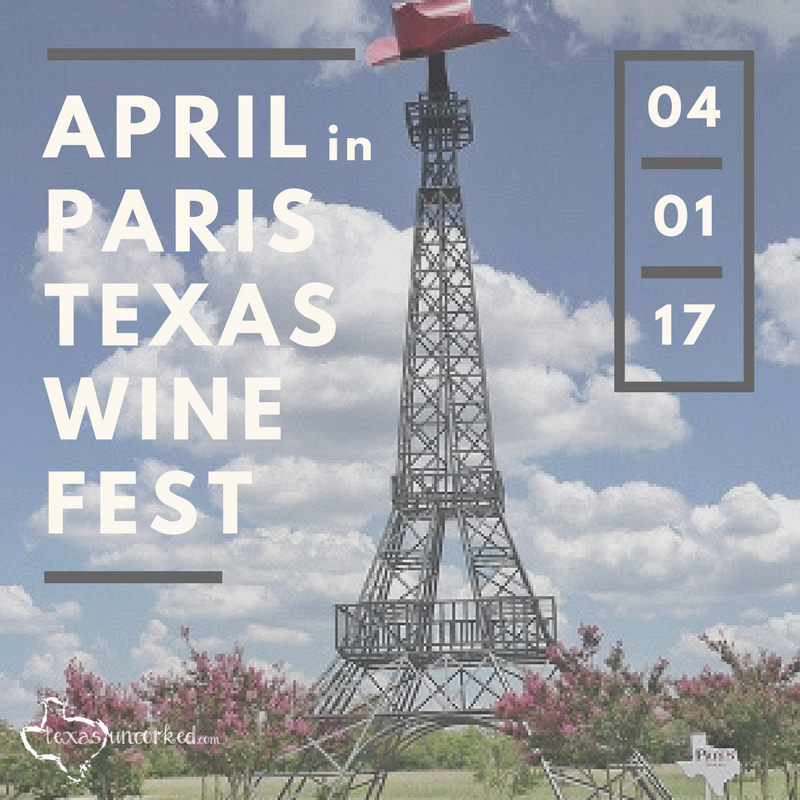 Various red wines, white wines, and rosés will be showcased from Texas Wineries across the state. All wines at the festival will have been made with Texas grapes, which makes this event an exciting opportunity to taste real Texas products! Hood County is always a wine-lovers choice (FOUR wineries in our small county! ), but never more than during the Granbury Wine Walk. While you can stroll downtown Granbury with your favorite merlot in hand any day, only during the Granbury Wine Walk can you sample as many as fifteen wines. And if you like one, purchase a glass or bottle. 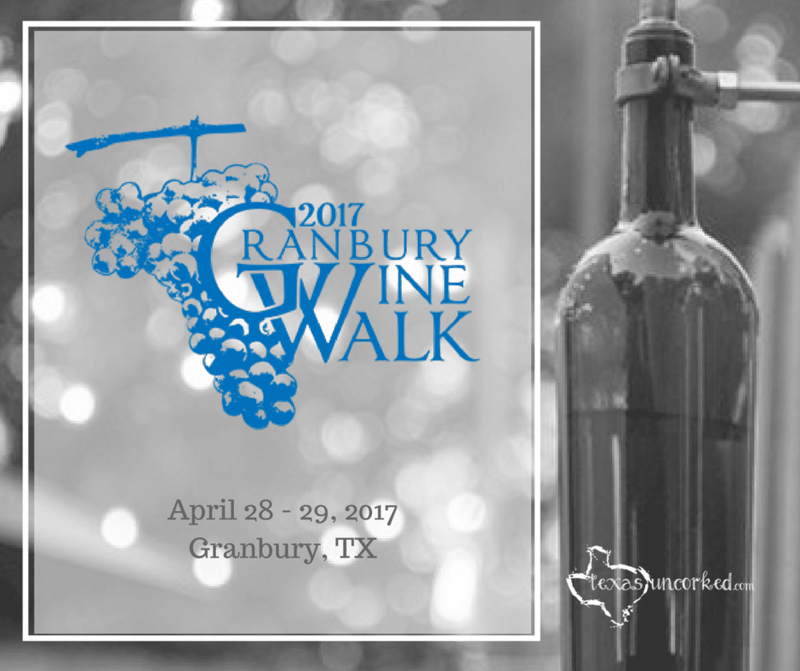 The eighth annual Granbury Wine Walk is the place to experience the authentic character of Texas through its wine, food, music and art. The Granbury Wine Walk is a non-profit event benefiting local charities. The event kicks off Friday, April 28 and again, Saturday, April 29. Wine Walkers can enjoy live local music at clusters of booths, each cluster offering Texas flavors in wine, food and art. The community gets into the spirit, as well! The celebration begins with the prominent “Sip & Savor” VIP Event on Thursday evening, April 27. Attendees enjoy a taste of Texas with hors d’oeuvres from North Texas’ favorite celebrity chefs paired with carefully selected wines from wineries at the Wine Walk. Look at VIP ‘Sip & Savor’ Event page for more information about this premier event! This event is free and open to the public. Messina Hof will have their Friday Date Night special of hand crafted sparkling wine cocktails for $9. Relish a beautiful night under the stars in the park, while listening to the sounds of the Texas Chamber Music Project! Their orchestra will be performing on our side patio under the trees! 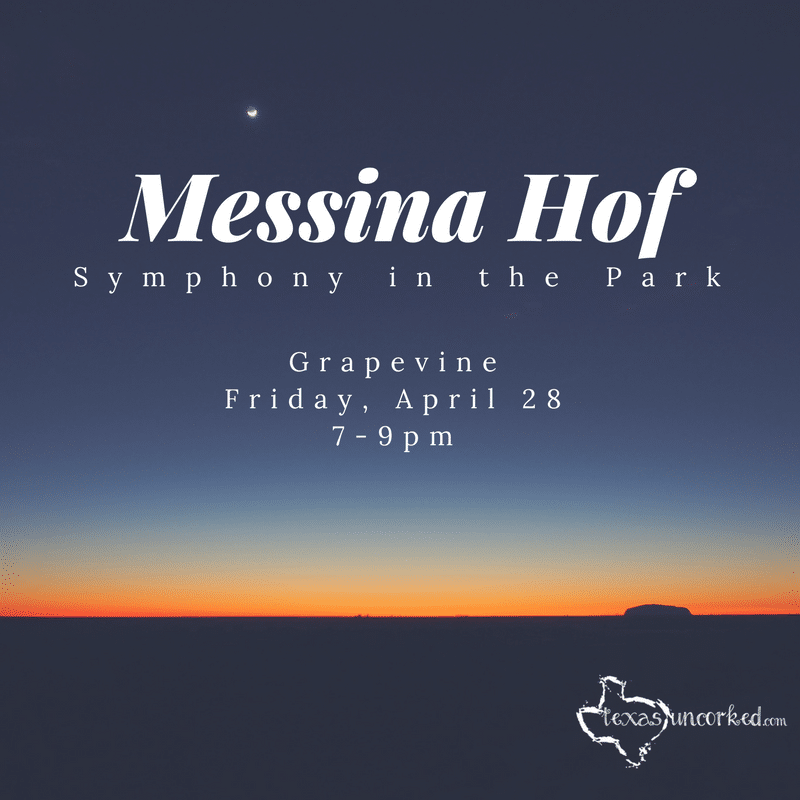 Free admission, bring your lawn chairs and come enjoy Messina Hof’s fabulous wines while you delight in the music! Texas Chamber Music Project of the Dallas/Ft. Worth Metroplex is an orchestra specializing in music written for smaller ensembles. Performing in various, and sometimes unexpected, venues, we bring the experience of chamber music to a broader audience, and encourage interaction with the musicians before and after a performance. Texas Chamber Music Project is an all volunteer chamber orchestra with a mission to bring quality music to everyone, “We’re gettin’ out of the concert hall, y’all!”. Click the logo below for more information.